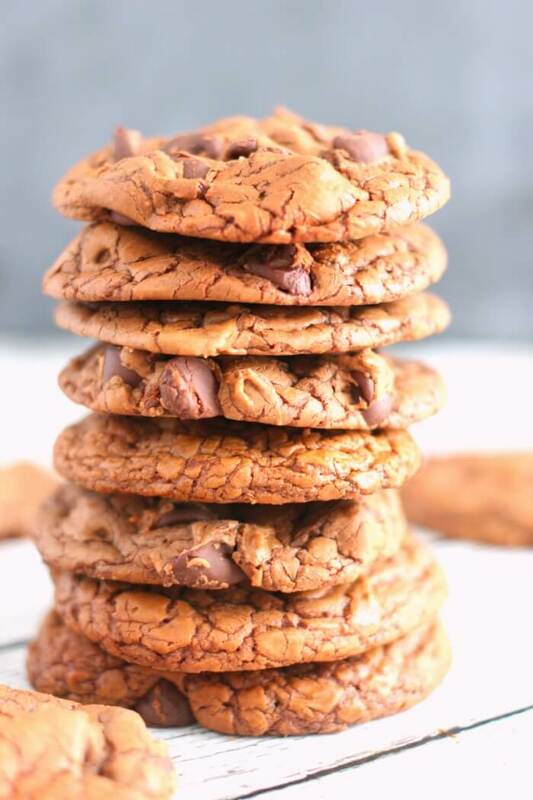 Nutella cookies are easy to make – only four ingredients – and might just be the best cookies you’ve ever had! We like to serve our nutella cookies after a comfort food dinner like turkey chili, and beer bread. Mmmmmm! On sea days I like to wake up late, hit the coffee shop for a nutella stuffed donut (see where I’m going here…), lounge on my balcony, shop, play some bingo, and then swing by the buffet for lunch. Where of course, I’m going to get their famous chocolate chocolate chip cookies (ahhhhh, there it is). 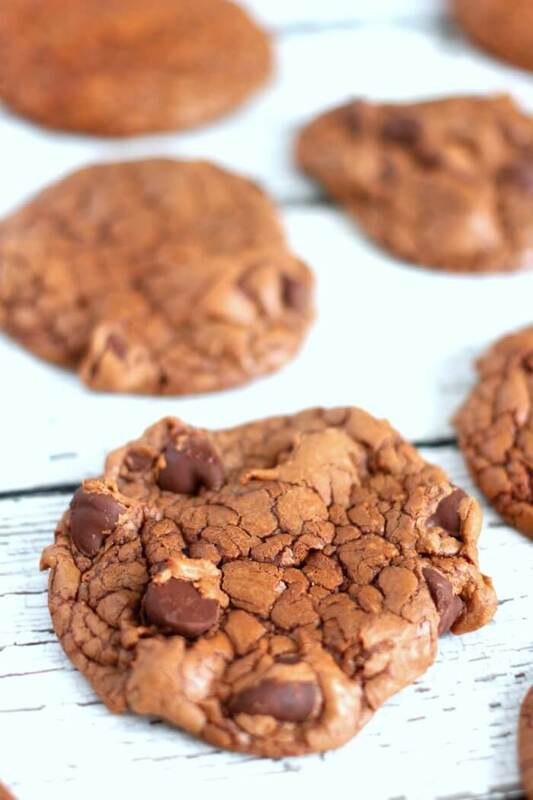 So one afternoon after indulging in a nutella donut for breakfast and a chocolate chocolate chip cookie after lunch, it occurred to me that what we really needed was a mash up recipe – a nutella cookie! With chocolate chips, of course. Mmmmmm. Nutella – Nutella is a chocolate and hazelnut spread that tastes great on nearly everything. Spoon included. 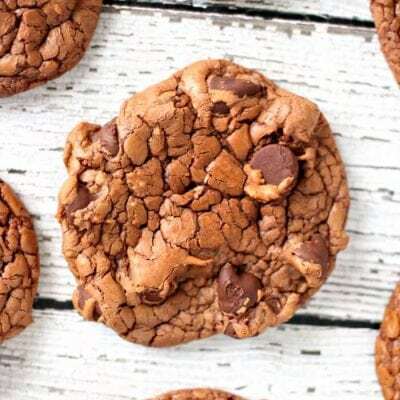 The nutella is what gives these nutella cookies a chewy fudgy flavor and texture. Egg – The egg works as a binder and also gives richness and volume to the cookies. Flour – Just a little bit of flour. We use self rising, so there’s no need for additional salt or leavener. Chocolate chips – The chocolate chips are optional, but not really. 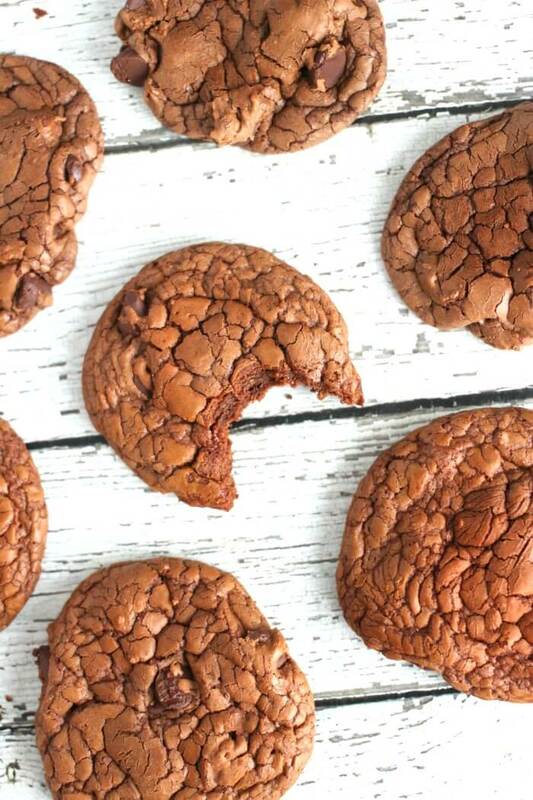 We baked our nutella cookies at 350 degrees Fahrenheit for about 13 – 15 minutes. We made a batch of twenty two small cookies with the 1/2 tablespoon as a scoop. At this time/temperature they came out perfectly chewy and delicious. If I made larger cookies I would increase the cook time by a couple minutes. Nutella cookies can be eaten anywhere, but I believe they are best eaten while plotting or enjoying a grand adventure. 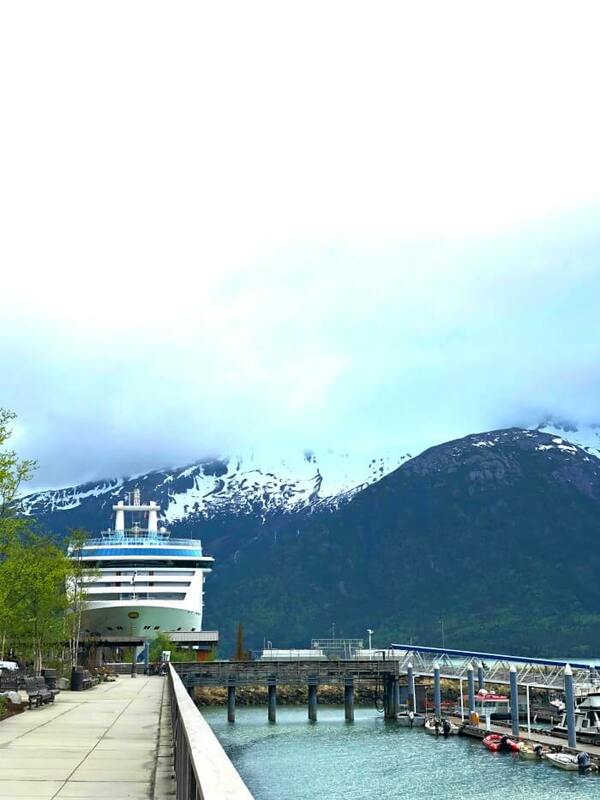 In this past year we’ve cruised through the Panama Canal, explored Costa Maya Mexico, and most recently gone from Vancouver BC to Whittier Alaska. And that’s only the exploring we’ve done by boat! 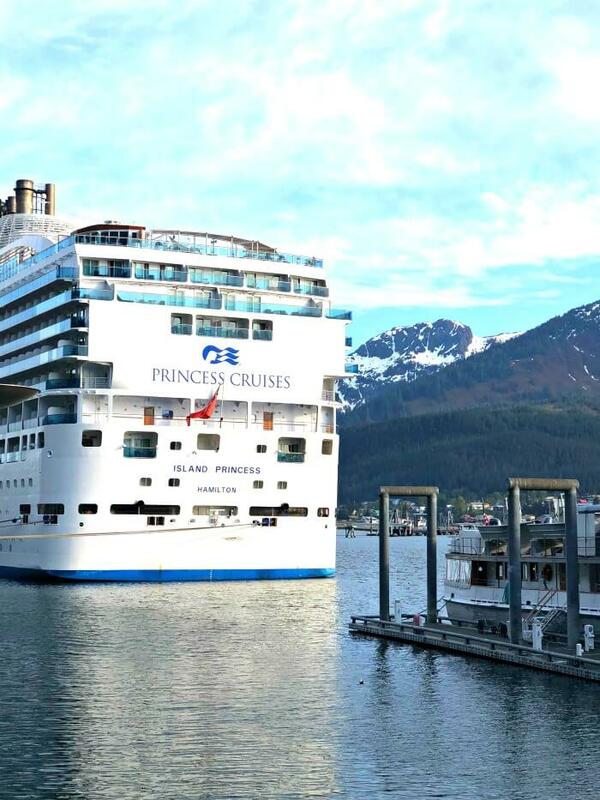 Taking cruise trips has allowed us to see so much more of the world than had we tried to do it by air or car. I am so in love with cruise travel and truly hope everyone gets the opportunity to experience exciting new places. In the mean time. Join me in a nutella cookie? Nutella cookies are not healthy per se, but everything in moderation is what they always say. 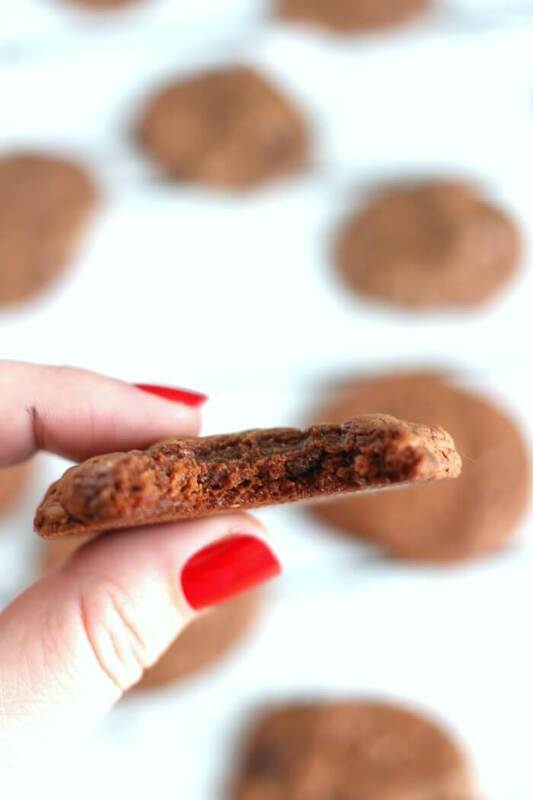 Our nutella cookies are 88 calories each, or 5 Freestyle Weight Watchers points each. Will nutella cookies harden after they cool? If the nutella cookies are stored in an air tight container, they should stay plenty chewy and delicious. You’ll especially want to make sure they’re dried in a sealed container if you live in a dry climate. 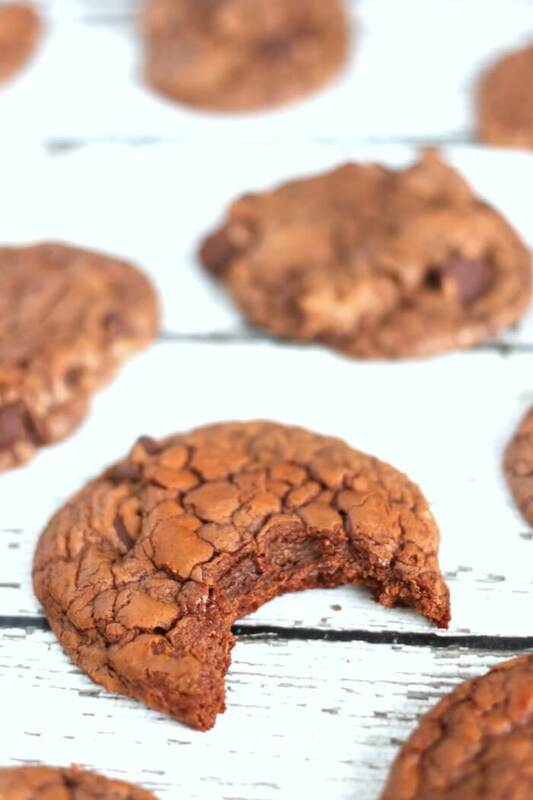 Nutella cookies are only 4 ingredients and turn out chewy, soft, and oh so delicious. With an electric mixer, combine nutella, egg, and flour. Bake on parchment or a silicone baking mat at 350 degrees for 13 - 15 minutes. Makes 22 cookies when scooping with an overfilled 1/2 tablespoon. Yes!!!! 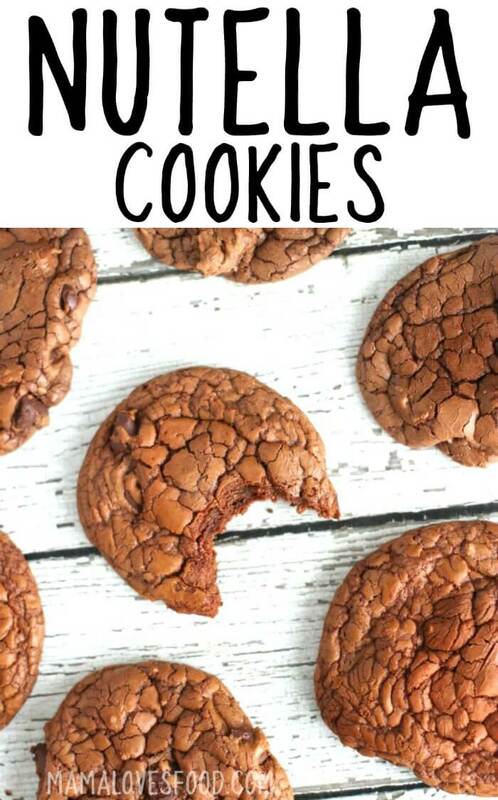 These are the best and easiest cookies ever!!!!!! Absolutely recommend that everyone make them. These yield the most perfect crinkly tops. It’s hard to beat chocolate and hazelnut together. 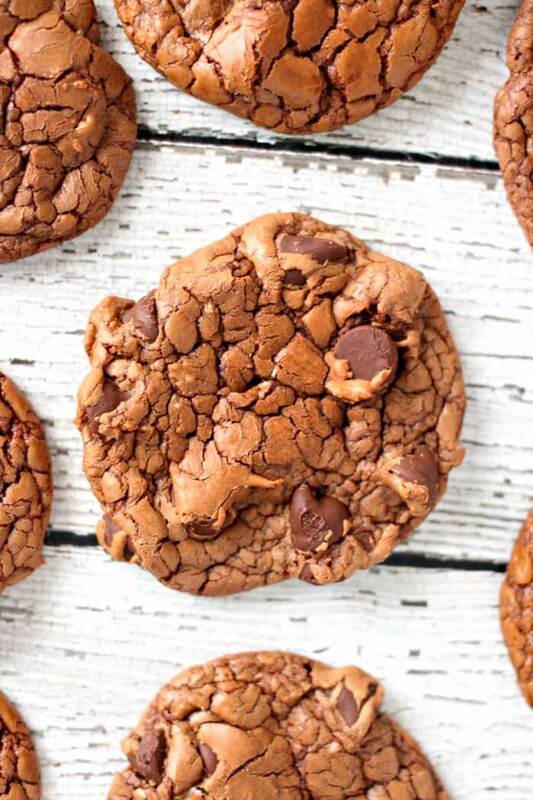 Chocolate chips are a MUST. Anyone try peanut butter chips? I really enjoyed reading this post. big fan of nutella cookies thank you! I kept my eye out for Nutella donuts the whole trip, and missed them 🙁 But I love your mash up here, and definitely need to try them! These are BEYOND amazing! Nutella anything and I am SO in!